It’s time to unwind yourself and take a break to Goa. At simply the best possible prices, this is a great choice to make for a memorable time with your loved ones. 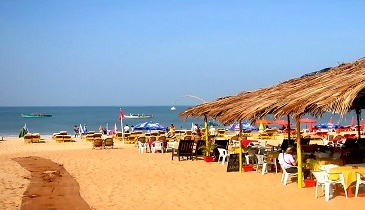 Relax on the beaches, enjoy water sports, jog along the sea and dance the night away at Goa's night clubs. Have a wonderful time where nobody tells you what to do. You do what you like. Make new friends and rewind yourself. Return back to Delhi all fresh and vibrant. If cancellation is made any time not less than 45 days prior to departure, Rs. 5,000/- (per person) + cancellation charges of flight ticket shall be deducted.